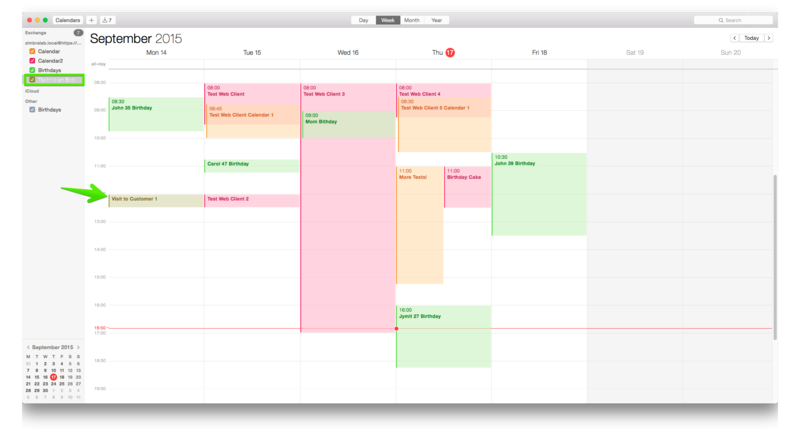 With Zimbra Collaboration Server, you can access all of your Zimbra Calendars using iCal or Calendar in the different OS X versions. 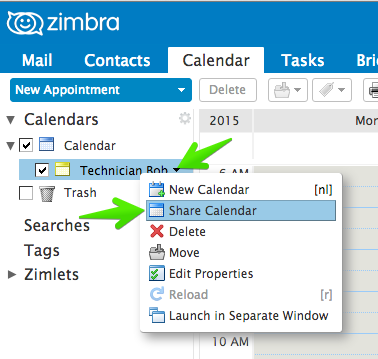 This guide shows you how to access your Zimbra Calendar using OS X and iCal or Calendar. 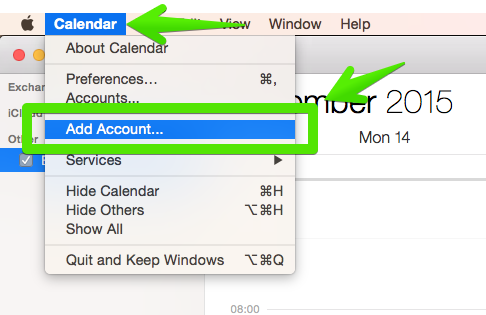 This guide assumes that you are already running OS X and you have the iCal or Calendar applications installed. 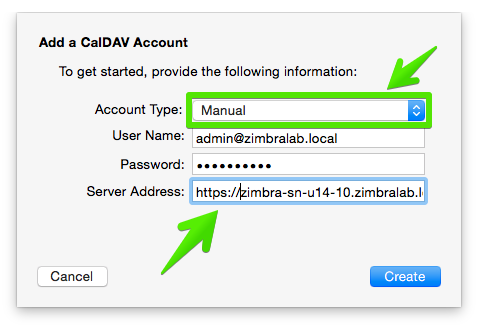 Zimbra mail server FQDN. This is usually in the form of mail.domain.com. 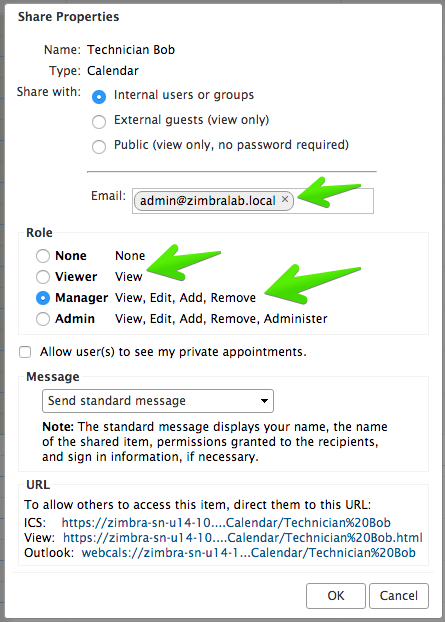 The following steps show you how to read and write in your Zimbra Calendar using iCal or Calendar in OS X. 1. 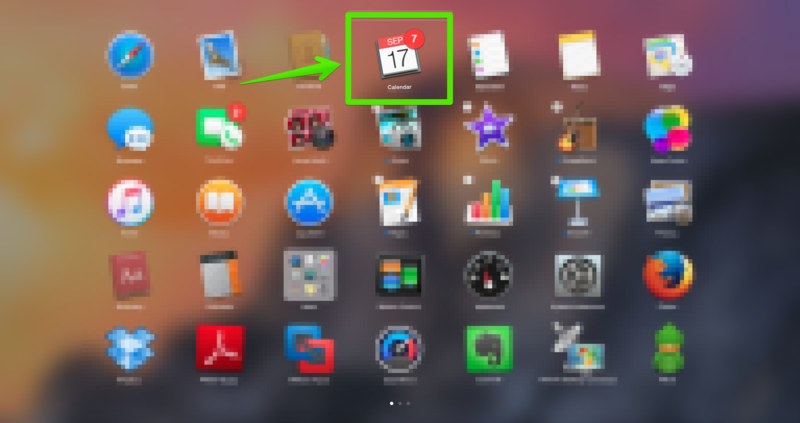 Search in Launchpad for the iCal application. 3. 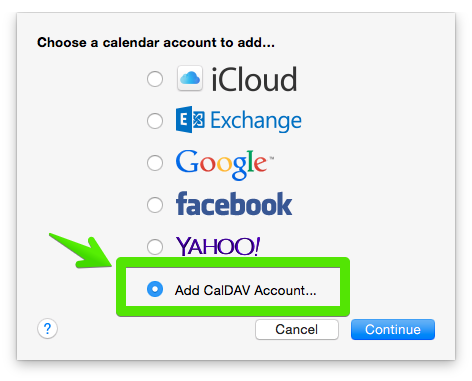 Select the Add CalDav Account option, then click in Continue. 5. 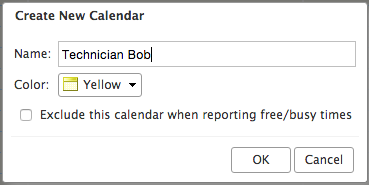 If you don't have a valid SSL Certificate, you will need to accept the SSL message warning. 6. 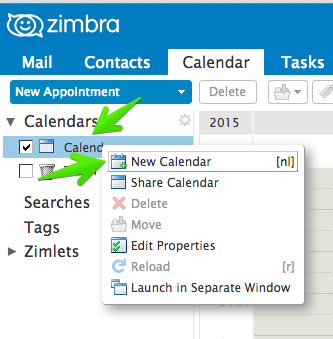 After a few seconds you will be able to see all of your Zimbra Calendars as well as all of your appointments. 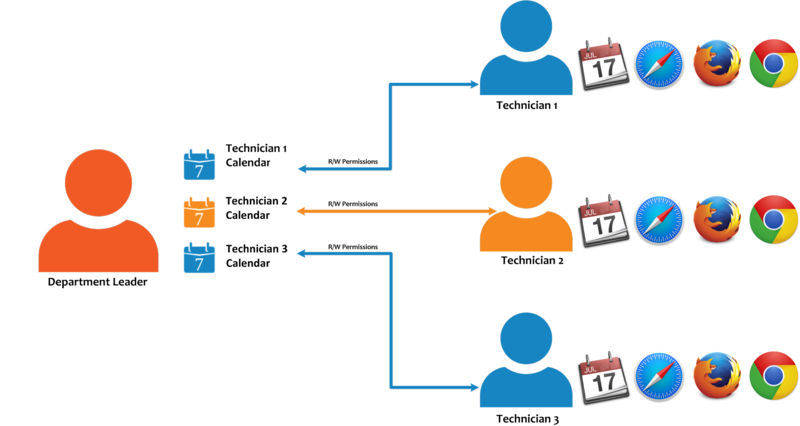 The Department Leader must create each Calendar and share with the Technicians, giving read-only or read-write permission. 3. 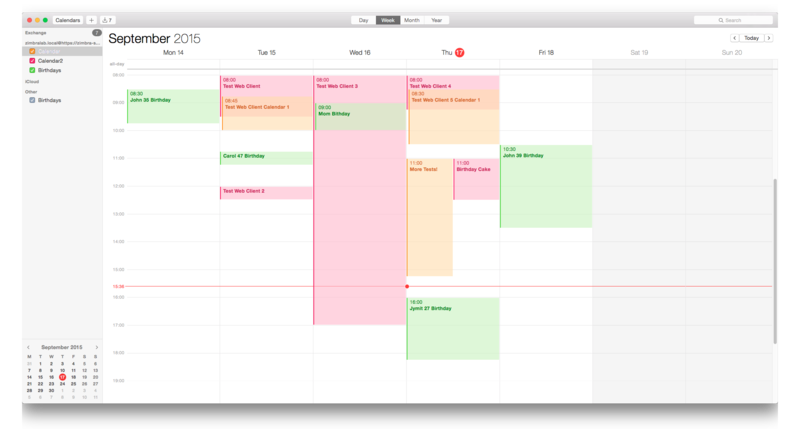 Edit the new Calendar with right-click > Properties, and select Share Calendar.